During the year the Kindy works closely with the school with regards to transition to school the following year. Students from Elsie Ey regularly walk through the school and use facilities and in Term 4 these orientation visits with the Kindy teachers are more regular and ensure children are familiar with the school facilities. Parents are asked to complete enrolment forms or Expression of Interest forms if living outside of the zone. Parents are asked to raise any issues which may impact on class placement. Kindy staff develops the first class lists for discussion. A timetable of transition activities and events are developed for Term 4 and parents receive a letter regarding Term 4 processes. Students who have applied for placement in the Disability Unit are identified through External Placement Processes and parents are notified. Kindy staff and Reception teachers meet to discuss each child, their needs and their learning. Copies of reports are provided to the new class teachers. Students with special needs who are entering the mainstream are identified and parents meet with the Special Educator and the class teacher and Pre-School Staff to develop initial plans. Children entering the Disability Unit are observed by Unit staff and meetings are held with Elsie Ey staff and parents. Students attend school for 2 half day sessions from 9-12 in their new classroom if possible. An evening Parent session is held where parents hear from the Principal about the school and then visit their child’s new classroom and hear from the teacher. Students attend their new classroom every day, all day from the beginning of the year. Parent/Teacher interviews are held in Week 2 or 3 of Term 1. Parents catch up with teachers informally at the beginning and end of the day. Parents are provided with communication books which operate between home and school and class newsletters are provided several times a term. 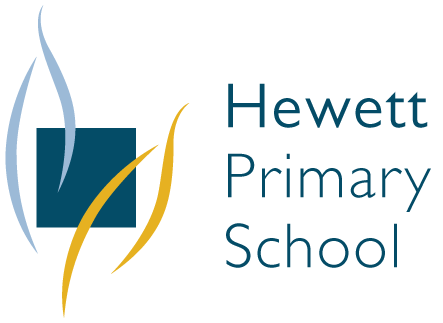 Students at Hewett Primary School go on to a number of different secondary schools depending on zoning for DfE sites and parent preference with regard to Independent/Catholic sites. Transition processes vary between secondary schools however at Hewett we work closely with the surrounding DfE sites; Gawler and District College B-12, Nuriootpa High School and Kapunda High School to ensure as smooth a transition as possible. Where transition involves students with specific learning and/or social and emotional needs discussions occur between our Special Education and Intervention teacher, Deputy Principal and appropriate personnel from each of the secondary schools. Our Upper Primary teachers follow a Middle School methodology to support and prepare Year 7 students for their transition to high school life. Parents are encouraged to visit secondary schools they are interested in. Information at this stage can be obtained from the individual secondary school’s website or by contacting the school directly. Parents should provide any expression of interest to an alternative DfE Secondary school directly to that site to be placed on a waiting list. Transition packs are distributed to Year 7 students. Allocation lists are provided to primary schools identifying the DfE secondary schools students are assigned to due to zoning. Enrolment packs are distributed to Year 7 students. The enrolment form enclosed must be completed and returned to school regardless of whether the student is attending a DfE, Independent or Catholic High School. This includes those waiting for confirmation from an Independent or Catholic school. Leaders from DfE High Schools visit Hewett and meet with students who will be attending their site. Some DfE High Schools provide additional transition days for primary sites that have only a few students transitioning to that school. All high schools arrange transition dates where primary students attend the school and are involved in activities to familiarise them with the shift to secondary education. These dates vary between schools and at Hewett we work hard to ensure that all necessary information is passed on to parents.